Rounded, spherical crystals of lilac-pink lepidolite on massive lepidolite matrix. 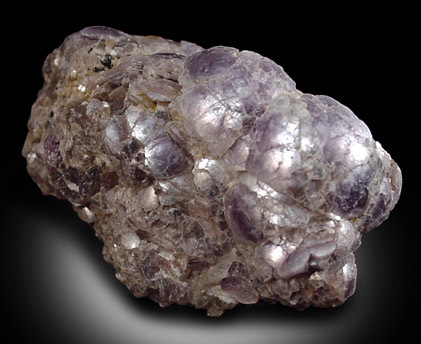 This formation is also known as ball-peen lepidolite after the resemblance to the round end of a ball-peen hammer. Overall size of mineral specimen: 6x4x3.5 cm. Size of individual crystals: 5-12 mm.